Macau casino operator Galaxy Entertainment Group Ltd reported adjusted earnings before interest, taxation, depreciation and amortisation (EBITDA) of HKD3.9 billion (US$497.5 million), up 10 percent year-on-year but down 10 percent sequentially. Galaxy Entertainment reported third-quarter net revenue of HKD13 billion, up 6 percent year-on-year and down 7 percent quarter-on-quarter, according to unaudited highlights of its performance for the period, filed with the Hong Kong Stock Exchange on Thursday. “During third quarter 2018, Galaxy Entertainment “played unlucky which decreased adjusted EBITDA by approximately HKD332 million,” said the firm in commentary on the numbers. The group’s total gross gaming revenue (GGR) in the three months to September 30 was HKD15.8 billion, up 6 percent year-on-year. Total mass table GGR rose by 8 percent year-on-year to HKD6.6 billion, while aggregate VIP GGR stood at HKD8.6 billion, up 5 percent from a year earlier, said the company. The Macau operator said that during the third quarter, Galaxy Macau casino resort (pictured) generated net revenue of HKD9.3 billion, up 7 percent year-on-year, but down 6 percent quarter-on-quarter. The property’s adjusted EBITDA was HKD3 billion, up 9 percent from the prior-year period. The firm said VIP rolling chip volume at the property for the third quarter was HKD189.6 billion, up 15 percent year-on-year. That translated into revenue of HKD6.4 billion, up 8.5 percent from the prior-year period. Mass gaming revenue for the venue was HKD4.4 billion, compared with HKD4.2 billion in the third quarter 2017. At the group’s StarWorld Macau property on Macau peninsula, net revenue was HKD2.9 billion, up 7 percent year-on-year, but down 5 percent quarter-on-quarter. Adjusted EBITDA was HKD927 million, up 16 percent year-on-year despite the property “playing unlucky” in its gaming operations, said the firm. StarWorld’s VIP rolling chip volume for the third quarter was HKD73.8 billion, up 10.3 percent year-on-year. This translated into revenue of HKD2.2 billion, down 4.4 percent from a year earlier. Mass gaming revenue at StarWorld was nearly HKD1.7 billion, compared with HKD1.4 billion in the third quarter 2017. 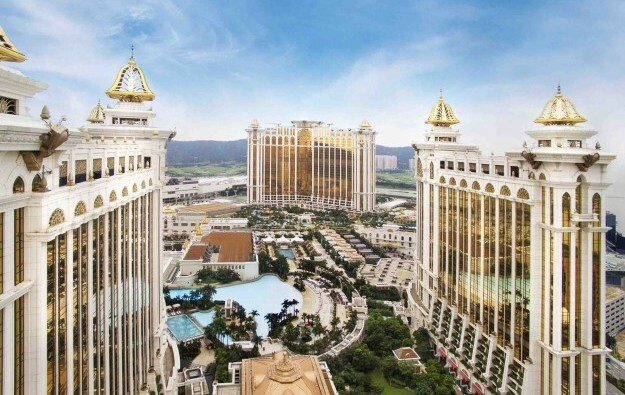 At the group’s Broadway Macau property on Cotai – which operates without VIP play – net revenue for the third quarter 2018 stood at HKD145 million, an increase of 38 percent from the prior-year period. Adjusted EBITDA was HKD9 million in the reporting period, versus a negative HKD4 million a year earlier. Galaxy Entertainment said on Thursday it would pay a previously-announced special dividend of HKD0.50 per share on October 26. The latest filing gave little information on the progress for construction of Phases 3 and 4 of its flagship Cotai resort Galaxy Macau. In previous results it had mentioned ground exploration work. “Our healthy balance sheet allows us to return capital to shareholders through special dividends and fund both our local development pipeline and explore international expansion opportunities. These include Phases 3 and 4, Hengqin and Japan,” it added.